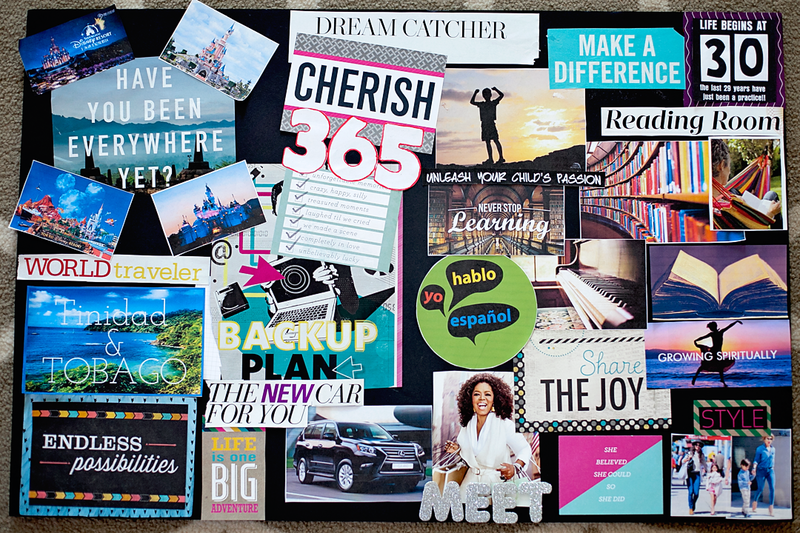 The concept of a vision board is to put down ideas or thoughts that you want to have in your life. Even if you pack it away and forget all about it, one day when you come across it you will find almost all that was on your image board is now in your life. 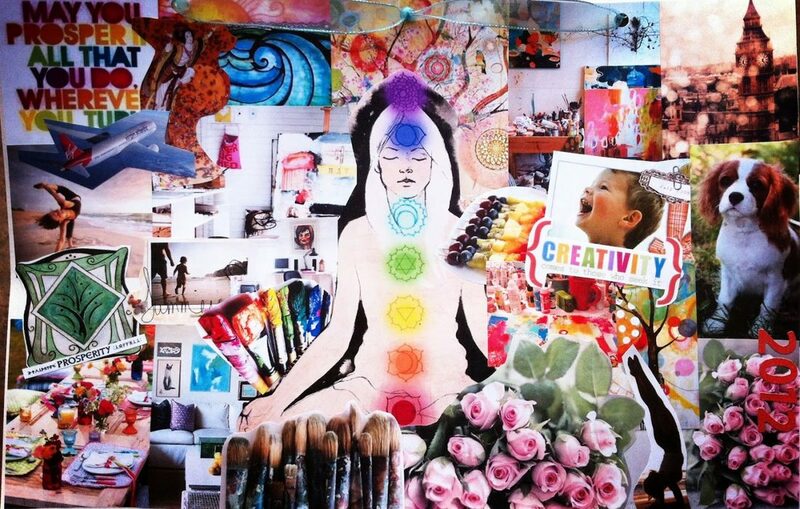 A couple months ago the women’s group at Unity of Lake Orion gathered to create vision boards. While they searched through magazines they chatted. Some showed us their old boards and told us what came to fruition from their previous work. Whatever you choose to hold your vision images you will want it large enough to place all the good you can imagine coming into your life. Make positive choices because this is what you want in your life, positive things and positive change. There is no time line for what is on your board to enter into your life. Remember all good comes to us when we are ready to receive it. I encourage you to make a vision board out of any type of board materials you would like to use. The board does not have to be fancy, nor do you have to spend a lot of time on it. Using simple poster board will do the job. Another good thought is to use an old picture frame, a photo book or a scrap book. Once you have chosen your board material begin accessing your imagination. Think on what you really want to see come into your life. There are no rules or excuses accepted, so do not make up your own self-critical or limiting rules. Just imagine if you could have anything in your life just for the asking, what it would be and start there. Have fun with it and be open to possibilities. Maybe it’s imagining beginning a family, purchasing a new pet or buying a car. If you plan to retire and want to travel, then you would want to choose pictures of the places you want to visit. If you will travel by boat or plane remember to add a picture of the size of ship or jet you want to travel in too. Want a new job, imagine what your new building or desk will look like. Once your imagination has created your new future for you, start watching for pictures to show up in your life that fit your ideals of the perfect image. You will know when you find the right pictures or words because they will just feel good to you. Cut them out and glue them on your board. Once completed enjoy viewing your image board with an open mind and heart. Know that the image board does not become something that you idolize. Use the image board as a reminder to yourself of how you want your life to be. Simply keep the board and look back at it from time to time to see how your life is manifesting into what you put on the board. Often people will make them and end up packing them away, forgetting about them. When they turn up again and sometimes that is years later, the people find that most all the things on their board came true. You will see some of the special words you chose have become part of your vocabulary. Use the board as a tool to create good in your life. It is always good to have lots of tools that you use to keep your life headed in the right direction. Remember to be thankful for all the good that is coming into your life. Also, bless the idea that God as your source is unlimited and you as a child of God live in an unlimited world!